A Peek at Our Storage! 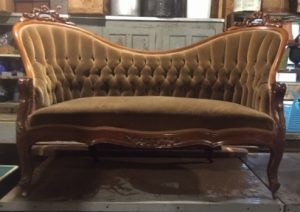 If you’ve been in our shop, you’ve probably heard us ask “Are you looking for anything special?” We always ask because our third barn, not accessible to the public, is full of back up inventory. 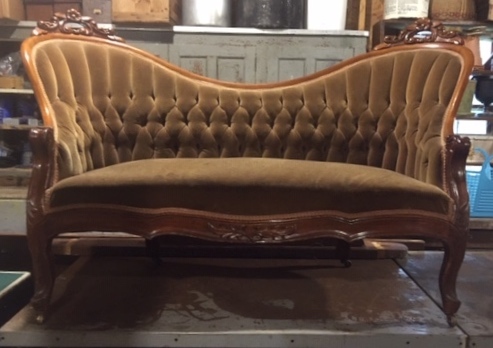 This Gone with the Wind-style settee is just one example of the furniture that is waiting for a spot in one of our main buildings. So if you are “on a mission” and you don’t see what you’re looking for, be sure you to ask!